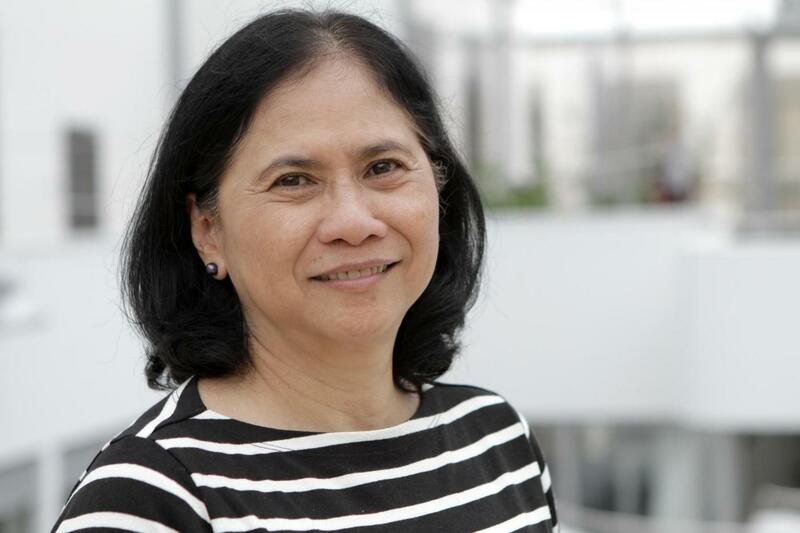 For this month’s e-newsletter, FORUM-ASIA talked to Dr Nymia Pimentel Simbulan, one of the newly elected Executive Committee Members of FORUM-ASIA and the Chairperson of Philippine Alliance of Human Rights Advocates (PAHRA), a member of FORUM-ASIA in the Philippines. As a human rights defender, Nymia shared with us her experiences working for political prisoners and their families, and the obstacles human rights organisations face in the Philippines. My involvement in the human rights movement started when I was a university student in the early 70s, before martial law was declared in the Philippines in 1972. As an officer of the student council engaged in the education of students and youth on local and national issues affecting their rights, I was active in the student movement fighting for students’ rights and welfare. When martial law was declared, my involvement in the student movement continued despite the difficulties and risks activists faced under the dictatorial and repressive Government. We had to shift our methods of work by operating clandestinely to adapt to the new environment. My involvement in the broader human rights movement, for example the struggle for civil and political rights, economic, social and cultural rights, started in the 1990s when my husband was arrested, tortured and imprisoned for 16 months in a military detention centre. I was invited to lead an organisation of families and friends of political prisoners, advocating for: better prison conditions; better treatment of political prisoners; their release; and their rehabilitation. After my husband’s release in early 1992, my human rights work and advocacy continued when I became a member of the Council of Leaders of PAHRA, and then member of the Executive Committee of PAHRA, and Executive Director of PAHRA’s research and information institute, the Philippine Human Rights Information Center (PhilRights). Currently, I am the Chairperson of PAHRA, which led to my direct involvement with FORUM–ASIA. Being witness to widespread poverty, exploitation and discrimination in Philippine society since I was a child, my involvement with human rights was triggered by my ardent desire to contribute to the improvement of peoples’ lives and the creation of a better world. Questions on why there are families who live under bridges and flyovers, in shanties and squatter communities; children who are unable to go to school; sick people who die without being seen by a doctor; hungry and homeless children: have persisted and lingered in my mind. My desire to advocate for human rights intensified after the Marcos dictatorial regime was overthrown in 1986. I realised that no significant change has taken place in the Philippine since human rights violations persisted. My husband was arrested in 1990 without any warrant, tortured by the military and imprisoned on the basis of trumped-up charges. The appreciation and support shown by my children in my human rights work are among the most inspiring moments in my life. My children have been consistently open-minded and understood why I am often out of the house, and sometimes unable to join family gatherings and activities because of my work. 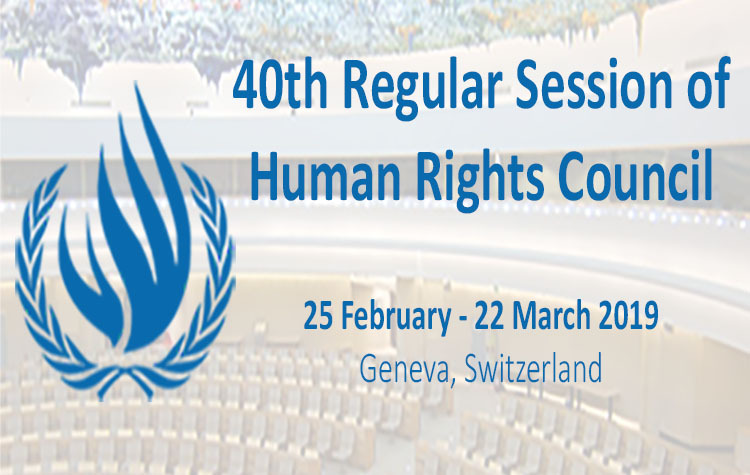 There have also been occasions when they were willing to participate in human rights activities and extended support to human rights NGOs I am affiliated with, like taking photos during trainings, writing reports and articles for the website, and video-recording mass media events. At present, the risks and challenges affecting the personal and organisational security and safety are among the difficulties faced by human rights defenders in the Philippines, especially under the current dispensation. My colleagues and I in the recent past have received threats, been cursed at, and have been subjected to harassments from social media trolls for openly criticising or opposing government policies with statements which are anti-people and anti-human rights. Although these risks are not new to me, having been arrested and detained, having received death threats and being subjected to surveillance, and having experienced my home being raided and my son terrorised by the military in the past, the personal and organisational hazards are indeed very real and should be addressed seriously. We have confronted these risks and challenges by conducting education and training programmes on digital and physical security. Measures have been taken to secure our offices and premises. We monitor the activities and whereabouts of our staff, especially when in the field or with communities. And we have invested in security gadgets and equipment. Human rights or development work is a vocation. It requires commitment and selfless devotion to working for and with peoples and communities in the realisation of a life with dignity. Cherish every moment, every victory and defeat, all joy and pain, for these experiences and challenges are what will make you grow and develop as a person, and what will lead to the creation of a better world.